In true Porta Romana style, the Rhythm Chandelier explores the boundaries between sculpture and interior design. 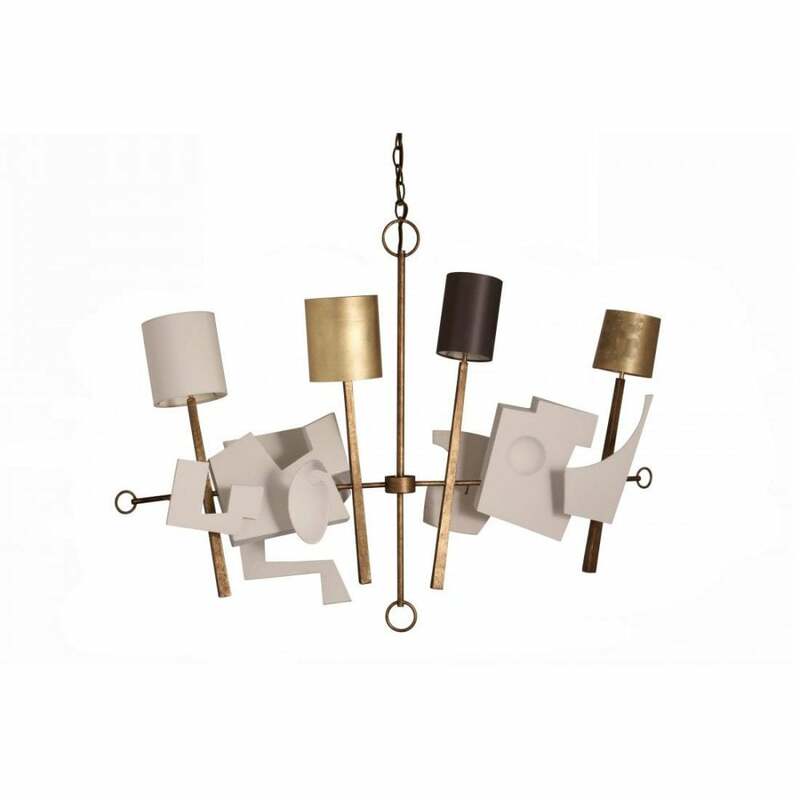 Crafted by their skilled artisans in the UK, this statement piece features a group of playful abstract shapes that are suspended at jaunty angles. Mismatched shades are interspersed along the axis of the Rhythm Chandelier like musical notes dancing along a stage. Designed by Gareth Devonald Smith, this dynamic, architectural light has an appealing musicality, and comes in its own custom-designed finish. Hang above a dining table or centre stage in a living space for a contemporary twist. Get in touch with our team for more information.